In the competitive landscape of manufacturing, there are many factors that can bring success to your business: Safety, Speed, Standardization, Simplicity to name a few. YorkEx is committed to these principles, and strive to bring each of the "S's" to your robotic solution. Your success is our success. Our robotic solutions will integrate the best of technology with a sound strategy of augmenting your current workforce. Humans and robots, working together. This is our commitment. 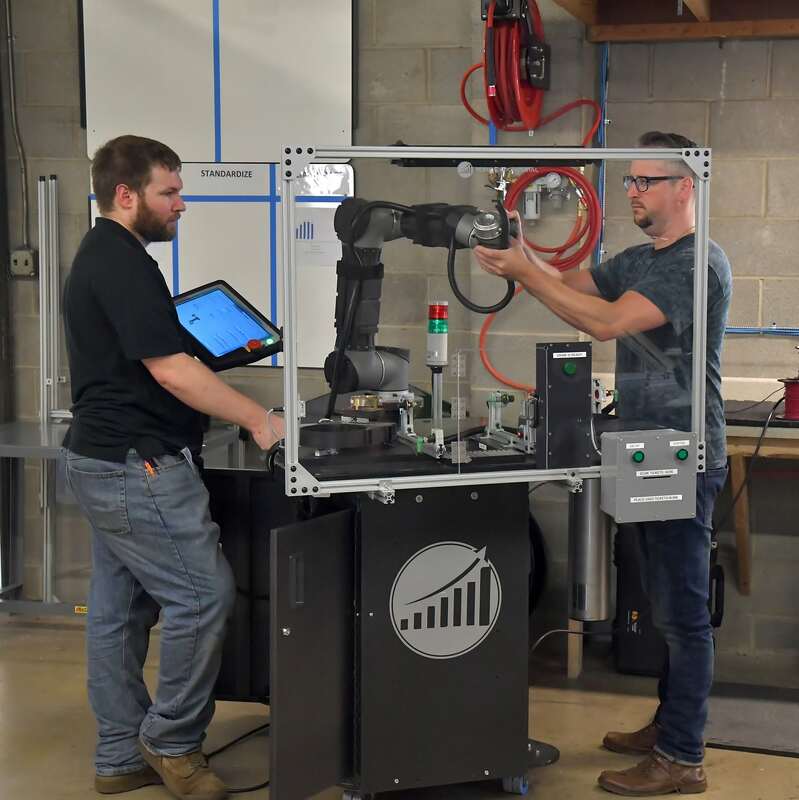 From Simulation to Implementation, let York Exponential provide the collaborative robotic solution best to achieve your goals, strengthen your manufacturing, and increase your business exponentially. Contact York Exponential today to arrange a consultation. Our team of Relationship Managers will be happy to walk your through our process and begin to strategize a robotic solution best to support your needs. "Collaborative Robots Require Collaborative Partners" and we look forward to partnering with you. Our solutions are tailored to your specific needs. Collaborative Robots bring the flexibility, adaptability, speed, and most importantly safety to each of our client's challenges. Let YorkEx assist you in developing the right strategies for your work. A strong workforce enables your to compete for contracts, new business, and other revenue. These successes will enable more employment opportunities, company expansion. YorkEx believes in Augmenting the American Workforce. Collaborative Robots can be a part in building more manufacturing jobs for you and your community.